18. 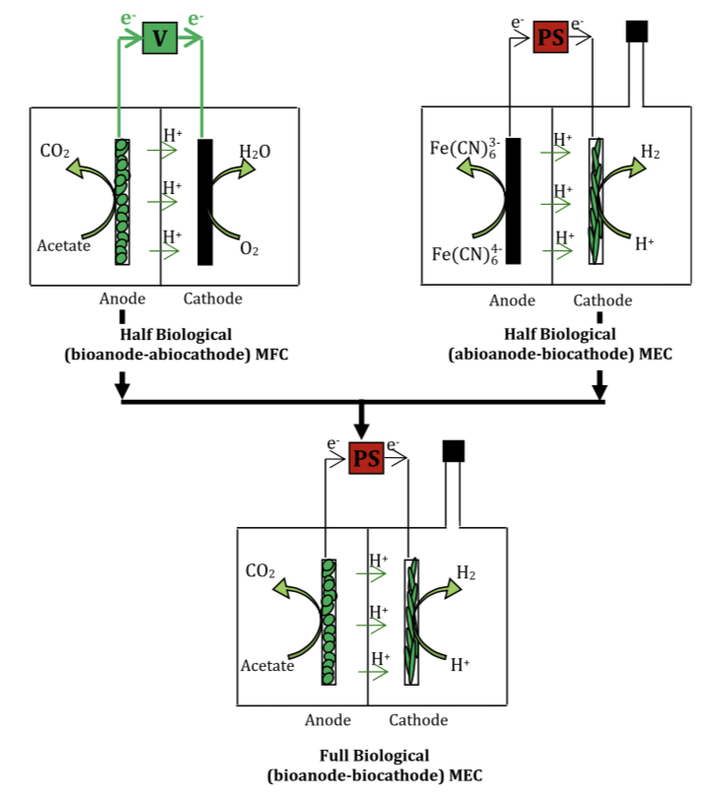 T. Jafary, W. Ramli Wan Dauda, M. Ghasemi, Mimi HaniAbu Bakara, M. Sedighi, B. Hong, Kim, A. A.Carmona-Martínez, J. Jahima and M. Ismaila, Clean hydrogen production in a full biological microbial electrolysis cell, International Journal of Hydrogen Energy, https://doi.org/10.1016/j.ijhydene.2018.01.010 (2018). 14. A. Marone, A.A. Carmona-Martinez, Y. Sire, E. Meudec, J.P. Steyer, N. Bernet* and E. Trably, Bioelectrochemical treatment of table olive brine processing wastewater for biogas production and phenolic compounds removal, Water Research, DOI: 10.1016/j.watres.2016.05.008 (2016). 13. N. Pous, A.A. Carmona-Martínez, A.Vilajeliu-Pons, E. Fiset, L. Bañeras, E. Trably, M.D. 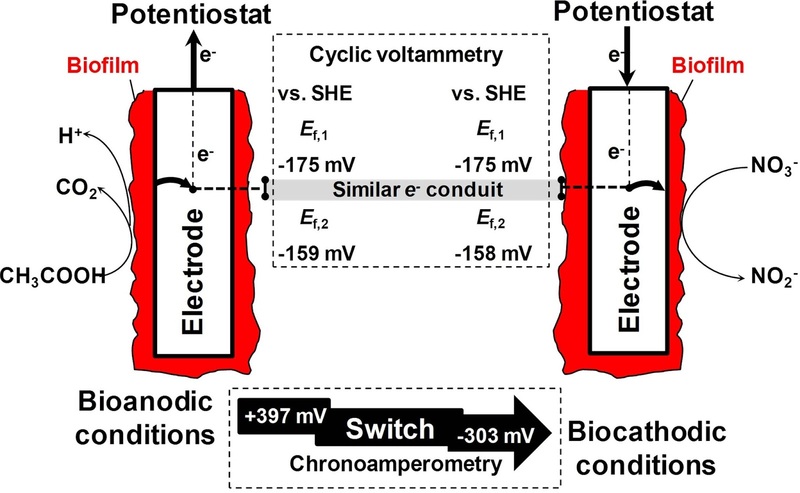 Balaguer, J. Colprim, N. Bernet, S. Puig, Bidirectional microbial electron transfer: switching an acetate oxidizing biofilm to nitrate reducing conditions, Biosensors and Bioelectronics, doi:10.1016/j.bios.2015.08.035, (2015). 12. M. Pierra, A.A. Carmona-Martínez, E. Trably, J.-J. Godon, N. Bernet, Microbial characterization of anode-respiring bacteria within biofilms developed from cultures previously enriched in dissimilatory metal-reducing bacteria, Bioresource Technology, doi:10.1016/j.biortech.2015.07.010, (2015). 10. M. Pierra, A.A. Carmona-Martínez, E. Trably, J.-J. Godon, N. Bernet, Specific and efficient electrochemical selection of Geoalkalibacter subterraneus and Desulfuromonas acetoxidans in high current-producing biofilms, Bioelectrochemistry, DOI:10.1016/j.bioelechem.2015.02.003, (2015). 9. 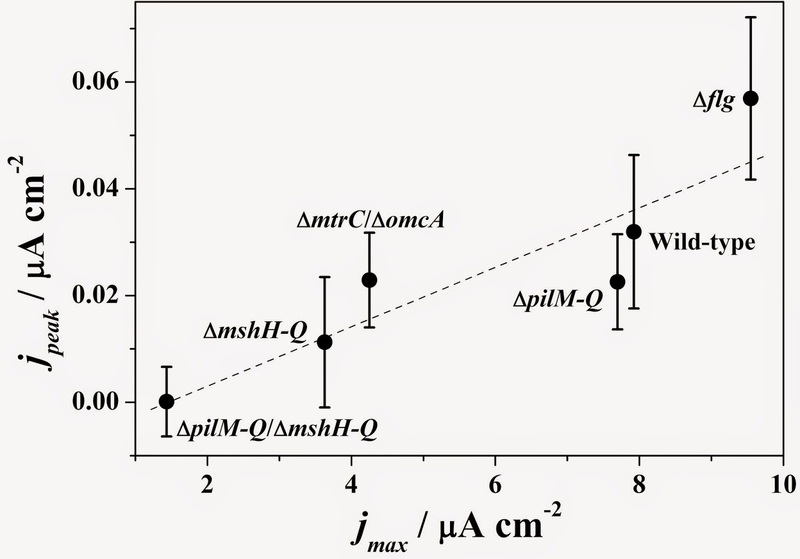 A.A. Carmona-Martinez*, M. Pierra, E. Trably, Bernet N., High current density via direct electron transfer by the halophilic anode respiring bacterium Geoalkalibacter subterraneus, Phys. Chem. Chem. Phys., DOI:10.1039/C3CP54045F, (2013). 8. A.A. Carmona-Martinez, F. Harnisch, U. Kuhlicke, T.R. 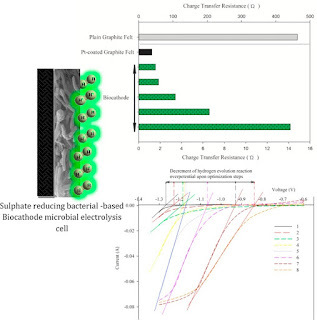 Neu, U. Schröder, Electron transfer and biofilm formation of Shewanella putrefaciens as function of anode potential, Bioelectrochemistry, (2012) Online. 7. S.A. Patil, F. Harnisch, C. Koch, T. Hübschmann, I. Fetzer, A.A. Carmona-Martínez, S. Müller, U. Schröder, Electroactive mixed culture derived biofilms in microbial bioelectrochemical systems: The role of pH on biofilm formation, performance and composition, Bioresource Technology, 102 (2011) 9683-9690. 6. S. Chen, H. Hou, F. Harnisch, S.A. Patil, A.A. Carmona-Martinez, S. Agarwal, Y. Zhang, S. Sinha-Ray, A.L. Yarin, A. Greiner, U. Schröder, Electrospun and solution blown three-dimensional carbon fiber nonwovens for application as electrodes in microbial fuel cells, Energy and Environmental Science, 4 (2011) 1417-1421. 5. S. Chen, G. He, A.A. Carmona-Martinez, S. Agarwal, A. Greiner, H. Hou, U. Schröder, Electrospun carbon fiber mat with layered architecture for anode in microbial fuel cells, Electrochemistry Communications, 13 (2011) 1026-1029. 4. A.A. Carmona-Martinez, F. Harnisch, L.A. Fitzgerald, J.C. Biffinger, B.R. 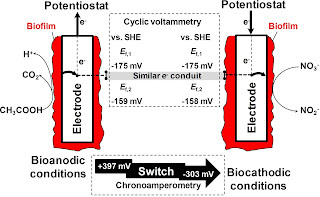 Ringeisen, U. Schröder, Cyclic voltammetric analysis of the electron transfer of Shewanella oneidensis MR-1 and nanofilament and cytochrome knock-out mutants, Bioelectrochemistry, 81 (2011) 74-80. 3. H.M. Poggi-Varaldo, A. Carmona-Martínez, A.L. 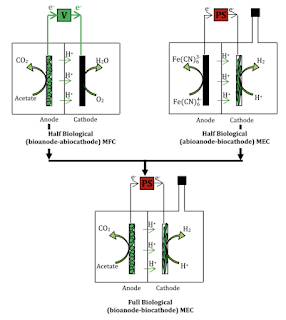 Vázquez-Larios, O. Solorza-Feria, Effect of inoculum type on the performance of a microbial fuel cell fed with spent organic extracts from hydrogenogenic fermentation of organic solid wastes, Journal of New Materials for Electrochemical Systems, 12 (2009) 49-54. 2. I. Valdez-Vazquez, E. Ríos-Leal, K.M. 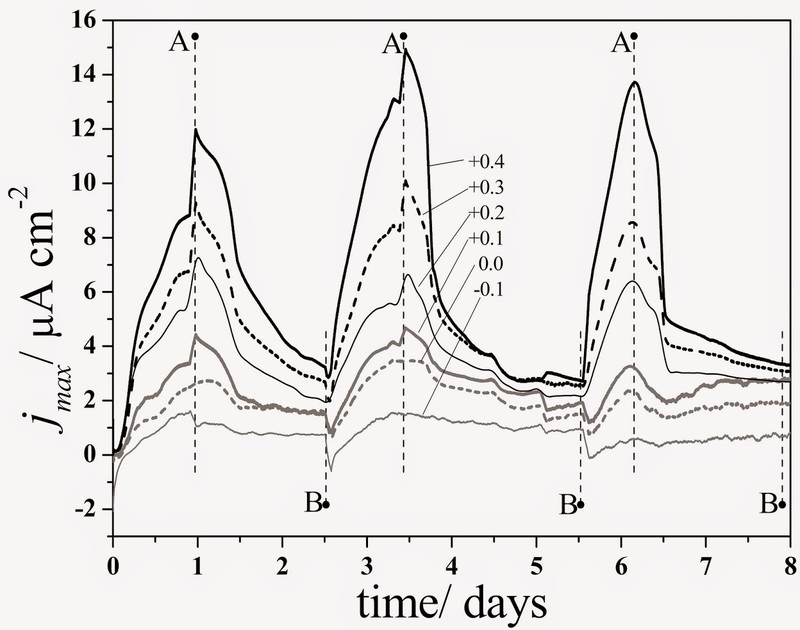 Muñoz-Páez, A. Carmona-Martínez, H.M. Poggi-Varaldo, Effect of inhibition treatment, type of inocula, and incubation temperature on batch H2 production from organic solid waste, Biotechnology and Bioengineering, 95 (2006) 342-349. 1. I. Valdez-Vazquez, E. Ríos-Leal, A. Carmona-Martínez, K.M. 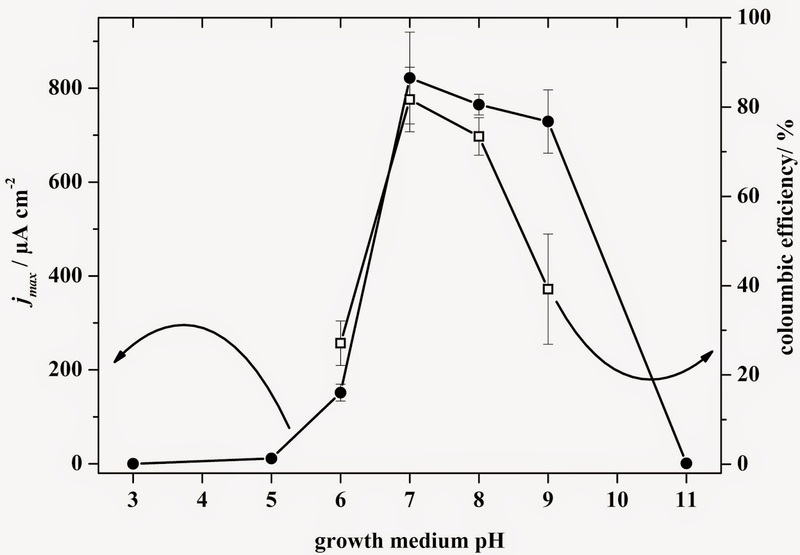 Muñoz-Páez, H.M. Poggi-Varaldo, Improvement of biohydrogen production from solid wastes by intermittent venting and gas flushing of batch reactors headspace, Environmental Science and Technology, 40 (2006) 3409-3415. Electroactive Biofilms in Water and Air Pollution Treatment. Anna Vilajeliu-Pons, Sebastià Puig, Alessandro A. Carmona-Martínez, Nicolas Bernet, Marta Coma, Federico Aulenta, Jesús Colprim and Maria Dolors Balaguer. 2016. 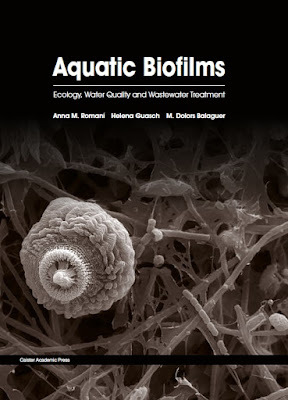 In Aquatic Biofilms: Ecology, Water Quality and Wastewater Treatment. ISBN: 978-1-910190-17-3. Available from Sci Hub. Download instructions: copy and paste DOI "https://doi.org/10.21775/9781910190173"in Sci Hub and choose the Libgen option.